THERE are plenty of annoying tasks we have to make time for in our busy days, from picking up a parcel from the post office to collecting the dry cleaning. And despite increases in technology, experts say we are more time-poor than ever before. That means making time for people is replacing money as the new "currency" of our society. 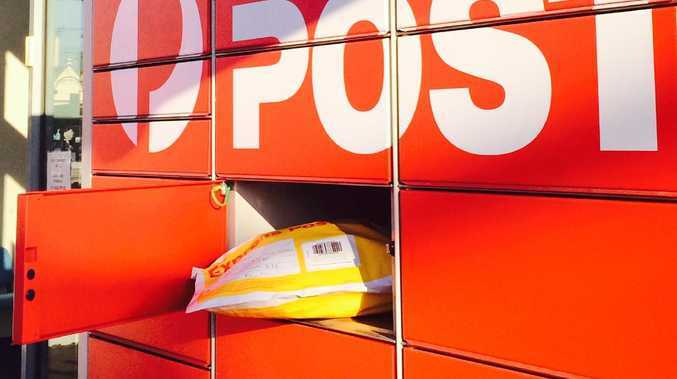 A recent research study found 92 per cent of Australians still use the post office to send packages, with 38 per cent using this method every time they send or receive anything. Realising this is one of those avoidable tasks most people hate, tech start-ups are creating companies that do these types of mundane jobs for you. GoFetch has just launched in Sydney after seeing success in Melbourne. Working differently to Uber, these "fetchers" don't have to be in cars and can pick up and drop off your items by foot, bicycle or public transport. The company already has 4000 fetchers, with some making $1200 a week as GoFetch only takes a 20 per cent cut. "I created this myself because I wasn't getting home in time and thought wouldn't it be great if someone could pick up my dog, pick up my dry cleaning, maybe grab some groceries," founder Blair Smith said. "Cafes are now using it to get coffee beans, we've had to get a trampoline and a pool table." Even though Australia Post introduced parcel lockers, people still like it when their parcel gets straight to them. While the business has a standard rate for anything up to 30kg, the downside is it can't go interstate. "There's so many gaps in the market, the chain of getting something to people," Mr Smith said. "In the parcel world, I think we're all growing in that space, delivery disrupters. You just need the technology to flip it." University of Technology Sydney digital expert Associate Professor Linda Leung said "two-sided marketplace" digital platforms such as Uber or Airbnb were improving customer experiences. "Where these platforms' success is, is where they've identified a particular need in the market or a pain point and they have tried to address it," she said. 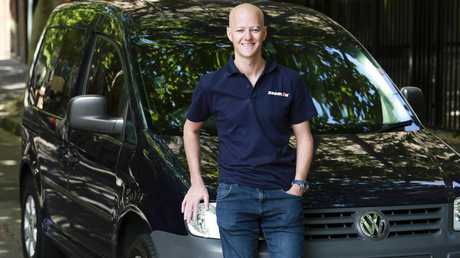 "It's an absolute pain when you buy online and you're expecting a parcel and nobody is home so you have to try to get it in business hours. Entrepreneurs have identified a pain point for consumers to address that. "It's all part of a growing need of time-poor consumers - people pay for tasks they don't want to do themselves." Dr Leung said "disruption" was overturning the way an industry worked. "The whole industry has grown out of that," she said. "I think we'll see a lot more of that. Whether they all succeed or not is another question. "It's the rise of the platform economy and the technology that brings the market together. "It's changed the way the consumer behaves. Where people would not have trusted Airbnb, it's now become mainstream. It's no longer early adopters using it, it's almost conventional." Research from delivery service Zoom2u found those aged 26-33, part-time workers and retirees were most likely to still use the post office. They also found the average person spends more than 10 minutes waiting in line per delivery, with respondents noting that sometimes it took them more than 30 minutes to send or collect a package. Zoom2u founder and CEO Steve Orenstein said a task that would otherwise have taken at least half an hour or more out of your day could be done online from the comfort of your own home or office in mere minutes. "It really is a time-sucking task that could be avoided for not much more in terms of cost in most cases," he said. "Ultimately, in today's society more than ever, time is money." Steve Orenstein, founder of courier business Zoom2u. Digital delivery platforms allow people to select a particular time and track parcels online. Despite their rise in popularity, sales for parcel delivery with Australia Post are still growing. This year the company recorded a 41 per cent jump in full-year profit to $134 million, helped by parcel delivery which offset declines in its domestic letters business. Parcel delivery was up 11 per cent and recorded a revenue of $3.5 billion, while the volume of letters decreased by 10 per cent and its revenue was $2.4 billion. Australia Post CEO Christine Holgate said the increased rate of bills being paid online and large organisations withdrawing from regional towns had put further pressure on the business. They require $2 of parcel revenue to mitigate the impact of every $1 decline in letters. Last financial year, Australia Post invested $300 million in parcel facilities across its delivery network, and will increase that figure to $500 million this year. James Cook University marketing expert Tracey Mahony said people were becoming more used to having instantaneous gratification in all of their experiences, including communications. "So anything less can become frustrating and seem outdated," she said. "Despite the increases in technology we are more time-poor than ever before, arguably making time now the new currency of our society rather than money. If you can farm out non-essential, time-consuming tasks, why not?"